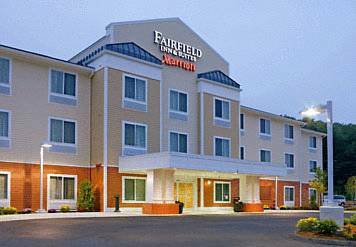 At the Fairfield Inn & Suites by Marriott Hooksett, your hotel experience will be what you make it! We are the closest hotel to Southern NH University located just 3 minutes from the campus. We are only minutes from downtown Manchester where you can enjoy dozens of pubs and restaurants from a variety of different cultures. Enjoy easy access to the Southern New Hampshire University Arena home to our Monarchs Hockey Team. 35 minutes to the New Hampshire Motor Speedway. Our breakfast ambassador is ready with hot coffee and a quick and healthy hot breakfast featuring eggs and sausage. Our hotel has complimentary Wi-Fi and is 100% wireless, we have a 24 hour business center, Indoor pool and fitness room. Our friendly desk staff can suggest a place to find a piece of NH to visit! Conveniently located 1 hour from Boston, the NH Seacoast and the White Mountains, we are a great central location for any business or family get a way.